JUVÉDERM® is a smooth consistency gel similar to Restylane made of hyaluronic acid—a naturally occurring substance in your skin that helps to add volume and hydration to the skin. The Hyaluronic acid is a naturally occurring sugar found in the human body. Everyone’s skin ages differently and JUVÉDERM® may be used to rejuvenate multiple problem areas. * From smile lines to vertical lip lines, to lip enhancement, you can smooth away unwanted wrinkles and restore natural contours. At our New York office the doctor will ease JUVÉDERM® injectable gel under the skin to instantly restore your skin’s volume and smooth away facial wrinkles and folds, like your “smile lines” (nasolabial folds—the creases that run from the bottom of your nose to the corners of your mouth). JUVÉDERM® provides a smooth, natural look that everyone will notice, but no one will know. 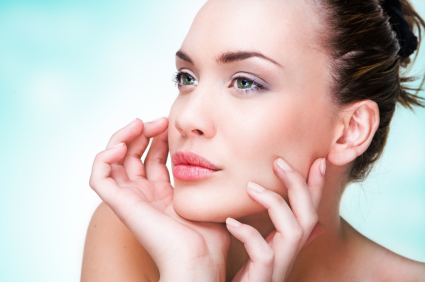 What is the difference between JUVEDERM® ULTRA VERSUS JUVEDERM® ULTRA PLUS? Allergan’s Juvederm® comes in two different formulations (Ultra and Ultra plus), so that treatment can be individualized to meet your cosmetic needs. Juvederm Ultra® is designed to give you the flexibility to correct both your facial wrinkles, nasolabial folds, and for lip augmentation. Juvederm Ultra Plus® is more cross-linked than the regular Juvederm and as such it can be used better for “volumizing” for deep wrinkles and folds. As an added benefit, the Ultra Plus lasts much longer in the end giving you more bang for your buck.